From time to time, the Vatican hosts summits in critical issues. One such momentous concern, for Pope Francis, is climate change. 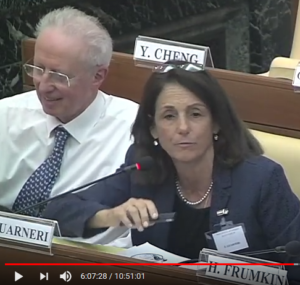 On November 2-4, 2017, the Vatican Pontifical Academy of Sciences hosted “Health of People, Health of Planet: Our Responsibility.” Among the participants and presenters was integrative cardiologist Mimi Guarneri, MD, the founding president of the Academy of Integrative Health and Medicine. The gathering led to a declaration for which Guarneri was among the signatories. 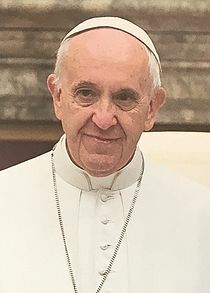 The meeting was one in a series since 2015 given Pope Francis’ prioritization of the issues of climate change and environmental degradation. Those convened ranged from scientists to policy makers and theologians and also included some elected officials and world leaders. Among the roughly 100 participating were Jeffrey Sachs, California Governor Jerry Brown, a Chilean governor, and multiple Nobel Laureates. The Miraglo Foundation, co-founded by Guarneri and Rauni Prittinen King, RN, was a co-sponsor of the gathering. Guarneri has an opportunity to present from her position in the chambers on the second day. (The comments begin at 6:07:10 on this link.) She spoke as a clinician sharing “systems models of delivery” of clinical and health services that are “very different from what we are currently doing.” She introduced AIHM as an organization “brought together not based on degree but on philosophy.” She described the distinctive role of a broad integrative model to health care as one that focuses on “creating health” - in contradistinction to the “ill-to-pill mentality” that dominates biomedicine. Guarneri called out, for instance, the growing knowledge of the roles of the same toxins that damage the external environment on the increasing rates of multiple chronic conditions. Guarneri also shared a quick review of some examples of successful models in medicine, in agriculture and in other environments. Promote behavioral changes beneficial for human health and protective of the environment such as increased consumption of plant-based diets. 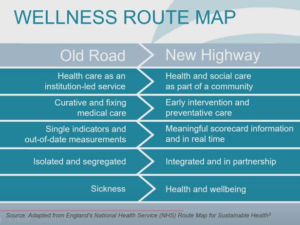 Comment: Two months ago, I reported here how integrative leaders were among those joining with the Global Wellness Institute in calling for a Wellness Moonshot. Not long thereafter, Yale integrative medicine leader David Katz, MD, MPH co-led an effort through the True Health Initiative that produced a letter to the secretaries of health for the Group of 7 nations, co-signed by 40 global nutrition leaders, to urge a radical shift in food policy. Now here is Guarneri, promoting an integrative view toward health creation with 100 global luminaries at the Vatican. Quite a trifecta of bold calls for action. If only these each came with policy power and budgets! Good to see integrative voices at these tables and stimulating these actions. Yet for Guarneri, the fit was all the stronger with her work at AIHM where she and colleagues have been directly linking the concept of integrative medicine with broader determinants of health, including the environment, since the organization’s founding. AIHM’s annual conference is sub-headed “People, Planet, Purpose.” Her personal website echoes this, greeting visitors with: “Healing People and the Planet through the Wisdom of Global Healing Traditions.” She and King have been involved globally through Miraglo. She and AIHM have increasingly been involved institutionally with global health through connections to the WHO and Pan American Health Organization. The right person for the job.